Gu Kailai has evoked the infamous trial Mao’s widow Jiang Qing. By Melinda Liu. A petite, short-haired woman prone to mood swings, the defendant was charged with murder. Although her charismatic husband was nowhere nearby, the case reflected on the powerful leader whose communist rhetoric had won him a loyal following—but whose flaws had caused a key aide to turn against him. Ah, you say, this must be Gu Kailai, wife of disgraced Politburo member Bo Xilai. Gu went on trial on Thursday, along with one of her husband’s employees, Zhang Xiaojun. The court adjourned Thursday afternoon after only a few hours to await verdict and sentencing, state-run media said, and Gu had raised no objections to the accusation that she murdered British businessman Neil Heywood, a family friend. Yet the opening description fits another infamous female accused, whose court appearance was also touted as China’s “trial of the century.” That defendant was Jiang Qing, widow of Great Helmsman Mao Zedong. Jiang went on trial in the winter of 1980 along with three cohorts. They were known as the “Gang of Four.”And while their case involved murder too, it was also many other things. Jiang and the gang were found guilty of subversion, counter-revolutionary activity, treason, persecuting 727,420 people, and causing the deaths of 34,274. Comparing these two “trials of the century” says something about what has changed in China—and about what has not changed. The fulsome scale of the government’s charges against Jiang contrast sharply with today’s minimalist official description of the accusations against Gu. She and her son Bo Guagua developed "conflicts with Neil Heywood over economic interests," declared the state-run Xinhua News agency. Worried about the threat Heywood posed to her son's personal security, "Bogu Kailai decided to murder Heywood," it said, using her married name. Last November, in Heywood’s hotel room in Chongqing where her husband was party secretary, Gu poured poison into Heywood’s mouth after he’d become inebriated, vomited, and wanted a drink of water, Xinhua quoted the prosecution statement as saying. One thing that hasn’t changed much is foreign media access to the courtroom. In both trials, there was none. I “covered” the Gang of Four trial (after having opened Newsweek’s Beijing Bureau earlier that year) in the winter of 1980. There was little independent reporting to be done in those days. I recall impatiently waiting for a Xinhua teletype to clatter to life and start spewing out the government’s official version of events. Gu’s trial took place in a much different political environment compared to Jiang’s. One important purpose of the trial of the Gang of Four was to bring on national catharsis and optimism in the wake of the tumultuous Cultural Revolution, and the shock of Mao’s death in 1976. The post-Mao regime was poised to embark in a new direction, to liberalize the moribund state-run economy, and to adopt free-market reforms. To help bring the public onboard, authorities vilified the bad old Maoist days. Horrors of the Cultural Revolution were described in detail by prosecution witnesses. Domestic media called Jiang “wicked, merciless scum, with the motives of a scorpion”. Today, China's leaders are stressing stability and the status quo. 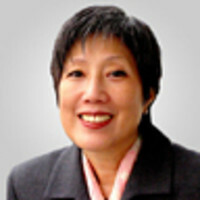 Gu’s trial and her husband’s disgrace did manage to uncover factional infighting on the eve of a key power transition. But authorities hope Gu’s sentencing will bring speedy closure to the scandal—and if not heal, then at least help conceal, any rifts at the top. Gu is being portrayed as a psychologically fragile Politburo wife who went to extremes to protect her son, a sort of Tiger Mom gone wrong defense. A statement issued by the court in Hefei, where Gu was tried Thursday, said her lawyers argued that Heywood was partly responsible for the cause of the crime, and that Gu’s “ability to control her own behavior was weaker than a normal person." The lawyers were also quoted as saying Gu had cooperated with authorities by informing on other people’s crimes; no further details were given. At least up to now, Bo’s fate has been distanced from that of his wife, leaving open the possibility that he will not be charged with any crime, despite the fact that his family's big-spending habits far outstripped his official salary of only about $20,000 a year. Bo was sacked from his post as Chongqing party secretary in February, after his police chief sought refuge in the U.S. consulate in Chengdu, alleging that Gu had killed Heywood and Bo was out to silence him about the murder. Bo has been under detention by Communist Party watchdogs for investigation of “serious discipline violations,” but the leadership may decide that turning him over to a court could be dangerously divisive at this sensitive moment. There's one more big difference between the two women’s trials. In the courtroom, Jiang was feisty in her own defense, claiming she was obeying Mao at all times. She famously declared: “I was Chairman Mao’s lapdog. Whomever he asked me to bite, I bit.” Gu, however, steered clear of anything like Jiang’s damning indictment of her famous spouse—and of the system that had produced him.